Welcome to UK Casino Checker! The UK Casino Checker website was officially launched in 2013 to cater for a growing number of people interested in Casino venues in the UK. The site, which is available on a variety of different devices, has comprehensive reviews of all the major bricks and mortar casino venues found up and down the breadth of the British Isles. We hope you enjoy our opinions and find the casino information you are looking for. Here is the latest land-based casino review from UK Casino Checker. Find out what our experienced reviewer made of this casino on a recent visit. Our team has profiled the best online casinos for you to play at. Brands you will know very well and also ones you may be seeing for the first time. 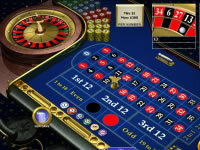 Find out where to play your favourite casino games on the internet. 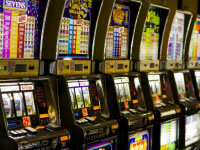 The growth of mobile casinos has been huge in recent years. The UK Casino Checker team have carefully selected and reviewed some of the best available to you today. What is UK Casino Checker? UK Casino Checker was originally conceived due to a lack of useful and informative information about UK land based casinos that was available online at the time. Most of the websites that wrote about casinos in the UK appeared to be in the search engines purely for monetary gain, almost entirely focusing on casinos in the London area or in other big cities like Manchester and Birmingham. However, as many readers will know, there are nearly 150 casinos all around the UK from Plymouth in Devon right up to Aberdeen in Scotland. You may have only just been made aware that there is a casino in (such and such a place). Our aim with UK Casino Checker was to build a site that would ultimately become an extremely useful reference for casino goers who may want to know if there is parking at Hippodrome casino in London or whether they need ID to enter the Genting casino in Glasgow. As the site grows in content and popularity we aim to add even more useful content for our readers as well as keeping reviews up to date and interesting. We offer real reviews from writers who have been to the casino. We truly believe that if you are going to review a casino then you need to have genuinely been and experienced it with your own eyes. That is why our writers have travelled the country visiting casinos all over the place. They try out everything from playing at the tables and the slots, to eating in the restaurant and even spending a night out in the club if they have one. We want you to know what to expect before you go and any information that may prove useful for your visit. We hope you enjoy our site and get as much out of it as we do. Thank you for visiting UK Casino Checker.